There have probably been many time when you sat at a group discussion or in a meeting and even though you may have had a point to contribute to the discussion at hand, but you chose to keep mum instead. At other times, you may have hesitated, albeit a bit too long, and then someone else at the table made the point. Sometimes you may have held back wondering if the thought you wished to express or the observation you wished to make may seem silly to others. Well these are occasions when you lacked creative confidence, and because you checked yourself, we will never know if that idea was good or not. You have probably passed on a chance to be recognized as someone thoughtful because you stayed in the shadow out of fear of rejection. Here is how you can deal with that fear that wells up inside you and by the way is all too common for most of us. Bring to mind a few examples of how, seemingly simple folks, irrespective of age, ‘poor connections’, lack of education and other resources went on to achieve great things for themselves. They also went on to offer this world hero’s, besides inspiration and hope to millions. Today we look upon these rather simple people with great admiration, silently thanking them for having the courage to come public and share with us their gift. We are all fearful of something or the other, and the only way to get over it is repetition, repetition, repetition, says Dr Ivan Joseph, then Athletic Director and head coach of the Varsity Soccer team at Ryerson University. Repeat it so many times, practice again and again until the fear is gone, and is replaced with a skill instead. We see how repetition and practice helps sports people, be they swimmers, or sprinters, or cyclists… they practice long hours, building their emotional and physical strength, perfecting every breath, every movement, and every thought. Of course a few repetitions and practice is not going to lead us to excellence, so be prepared for a healthy dose of failure along the way. From each failure, don’t forget to learn and convert it into a stepping stone to progress. Stories abound of folks who refused to accept failure and persisted on, from Abraham Lincoln, to recent stellar personalities like Colonel Sanders, Michael Dell, Steve Jobs, Jack Ma, J.K. Rowlings, and the list can go on. Behind the humungous success of these achievers is their tremendous grit and determination, a deep belief in themselves, persistence and the desire to succeed. So being the person you wish to be, doing the things you wish to do, achieving the goals you have set for yourself is very possible. You need to want it hard enough, you need to stay positive. In your daily life, you will encounter many people waiting to tell you it’s not possible, it’s not your thing and pulling you back from taking that first step. You don’t need to add to their clamor with additional negative self-thought. Instead, be positive. Dr Ivan Joseph wrote a letter to himself, and read it over and over again to stay positive when at his lowest ebb. You could do that too, or instead put up a poster on your mirror, in your car, or even as the wall paper on your computer – as a reminder and positive reinforcement that you are made of tougher and better material. Remember, what does not kill you, makes you stronger. So don’t let that manager sabotage a good idea or dampen your confidence. Don’t let that colleague talk you out of speaking up. Don’t let fear of the unknown, stop you from sharing your idea or thought. While reading up on creative confidence, I came across an interesting tweetpic which read, if you want the right answer, reframe the question. If you want to extract a positive response to your input, understand your audience, learn their pain point or area of anxiety and ensure you address their pain point. Bingo, who does not want a solution for a thorn in their side! Remember, different audiences have different pain points and concerns- your manager may be on the look out to simplify his/her work, a client will want to reduce costs. When you step up to share an idea, and really want it to be accepted, ensure your know the problem well, you have prepared by reading up and double checking on the facts. You are clear about the problem and the solution. Ensure your language is positive, display empathy, show that you are coming from a position of empathy, your audience is always listening, when they realize your understand them and wish to offer a solution. When the spotlight is on you, stay confident, in words and body language. Your conviction, belief and confidence displays itself in your verbal and nonverbal cues, so always ensure you are brimming with confidence, because that’s what you pass on along with a great idea. If you fail, forgive yourself and start again. There is always another day, you can always practice for another time, keep trying to fix those glitches that caused you to falter and stay with the positive self-talk. By now you would have realized that creative confidence is not a one off event, it is a perspective and a philosophy on how we choose to live our life, it requires development and nurturing before it begins to yield benefits for you. Don’t shy about from developing your creative confidence, set about building it and become the person you wish to be. The internet has made inroads into every little area of our lives. It has seeped in like water and we have soaked it up like sponge. Today, we hardly even recognize where our own thought begins and where it merges with the virtual space; it’s just one big interconnected database. Get into an argument and how do we resolve it? Google! The advantage of course is that most of us today are well read, knowledgeable on a host of topics and if we feel we need to know more on a particular topic, or that someone is pulling the wool over our eyes, all we need to do is turn to the internet, or Google precisely. This ‘know-it-all’ attitude which is growing increasingly common can also be annoying. Everybody believes they are experts on everything and because they have downloaded a few PDFs, read a few articles, have at hand a few how-to-manuals for dummies, and own a few half-backed ideas, move forth with the confidence of a veteran. Take a quick look at Twitter; you will see hordes of ‘social media experts’. Most of these folks are still in school, check out their tweets and they are all copy -paste content, try and find something original they have to say and its full of grammatical and spelling errors, and yet, they are self appointed, self proclaimed ‘experts’. A while back I had a colleague who was a software developer turned business manager. To upgrade her skills, she was asked to try her hand at writing. So off she went, copy pasted a paragraph each from five different articles and mailed it over to me. “Look, this took me an hour, how can you writers take two days to do this?” was the questioning look. Of course I had to look back in exasperation. Are you kidding me? You think this is what business writing is about? Another colleague downloaded Google’s how-to-do-it-yourself SEO manual and said, there you go, now we should be on page 1 for all our keywords! In another incident, a friend of mine was getting a little pain on the right side of the abdominal area. Oh my god, could this be appendicitis. He had worked himself into a frenzy after reading a few article off the net, and noting that his symptoms tallied with the write-ups. Later that evening when the doctor heard the diagnosis he threw his head back and laughed. “Really, you people read too much and believe everything you read on the internet, it’s just some swelling of a nerve and nothing to do with appendicitis” he said and shooed my friend away. 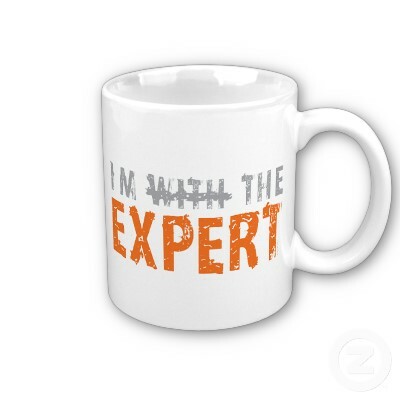 In a strange way, the internet has trivialized professional rigorous learning and made an ‘expert’ of us all. It has taken away the authoritative voice, and made us mistrust anyone who specializes in a field. “oh that, anyone can know that”, “you can read that off the internet”, “oh, isn’t that obvious”, “aren’t you update” are the comments that are thrown back. Its especially sad when these comments come from other professionals and I think, “didn’t you spend years studying to be a programmer, then how can you say anyone can do that after reading off the internet”, “didn’t you spend years doing your MBA, and working hard at perfecting your skills then how can you say, oh that’s child’s play’. In this world run over by information oozing off the internet, everyone is a guru, because they believe knowledge is theoretical, it does not come from practice, it does not come from intuition, it does not come from the heart or soul. With the internet loaded over with information as it is, it’s not surprising, but is it time we did a rethink before we claim mastery over areas of which we know but two cents. We need to differentiate between theoretical, untested knowledge, versus some ones experience and years of study. We need to get rid of our ‘know-it-all’ pride and let someone be the expert of and in their own field, while we try to master ours. This blog post may seem like a rant, but it is the result of my growing dismay when I see people increasingly trivializing someone else’s knowledge and falsely positioning themselves as knowing better.